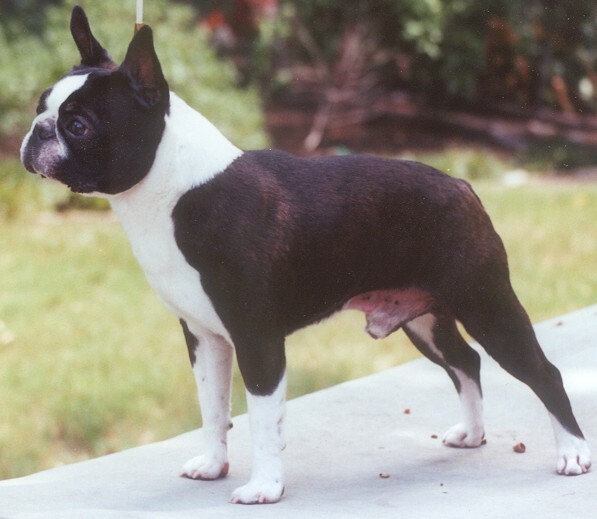 Rudy was a wonderful and loyal companion, bred by Bruce and Sandy Crook of Brandy Bostons, and owned and adored by Judie Polser. When Judie retired from breeding and showing, Rudy remained as her constant companion. Rudy contributed so much to the bostons in Texas. He was the litter mate of CH Brandy's Kennedy Rudolf Valentino (also called Rudi) who helped form the foundation for Kip & Vicki Kennedy's dogs. Rudy will be deeply missed.